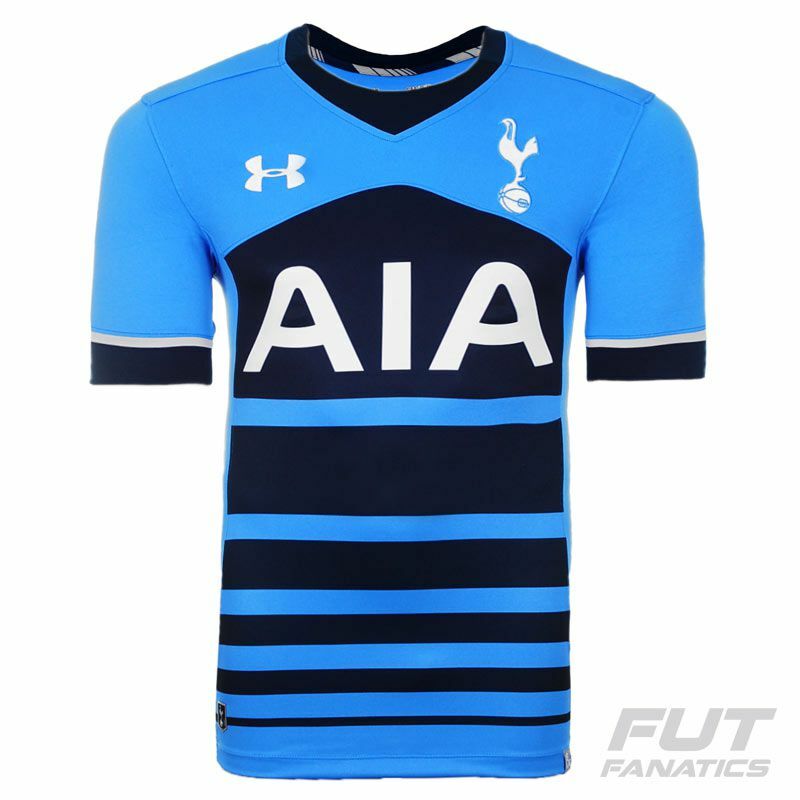 Under Armour Tottenham Hotspur FC Away 2016 Jersey More info. 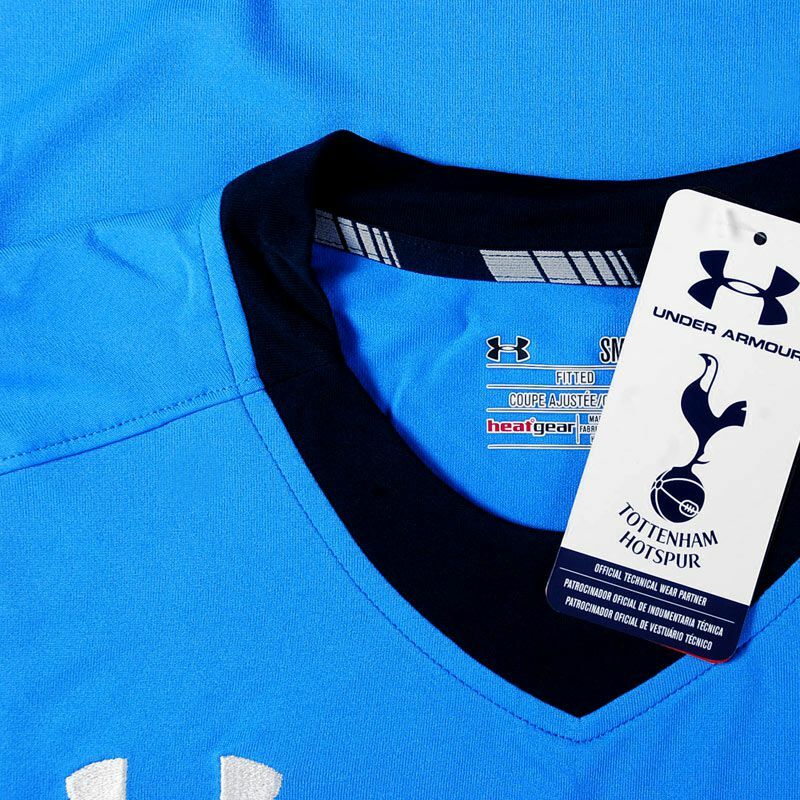 Under Armour Tottenham Away 2016 soccer jersey is made of lightweight polyester with Heat Gear technology that keeps sweat away from your skin, while the airflow resources designed anatomically offer superior temperature control for keep you dry and cool during the exercise. 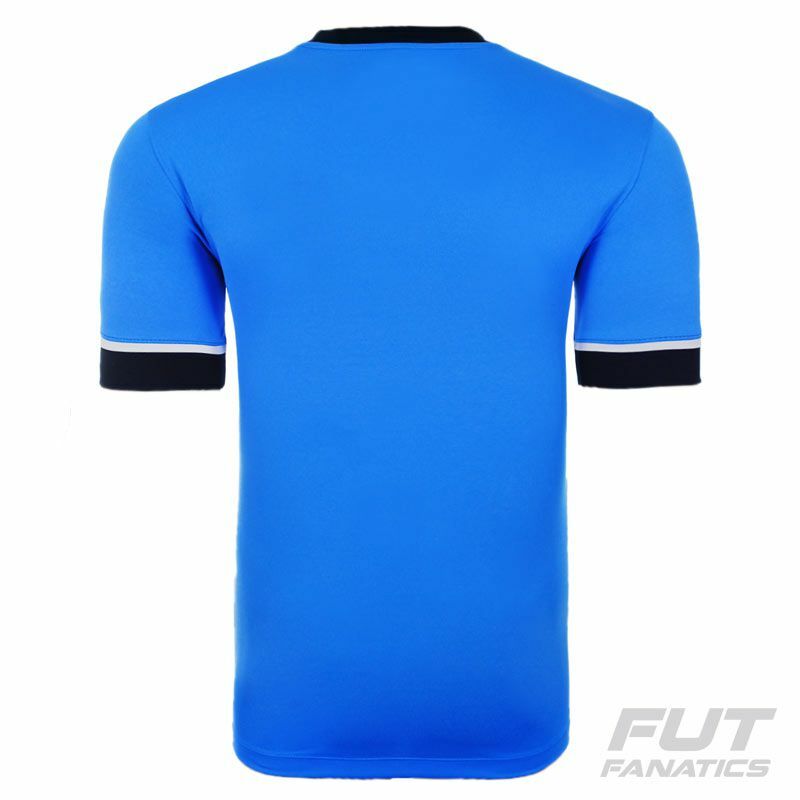 It is a blue, black and white jersey with the team badge embroidered on the chest. Tottenham Hotspur Football Club (also known as Tottenham or Spurs) is an english football club based in Tottenham district of north London. 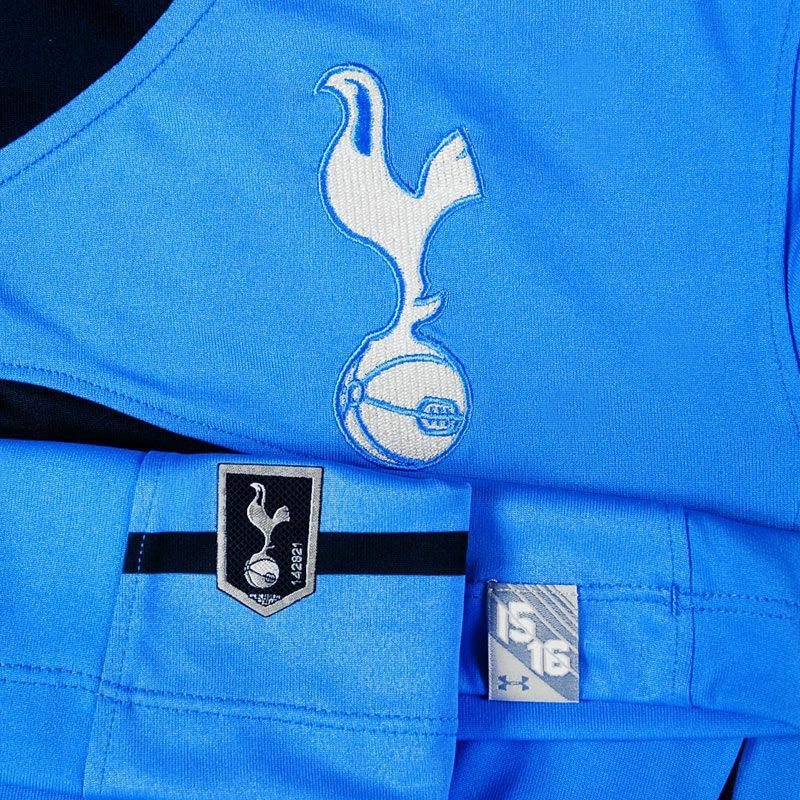 Tottenham won the Premier League twice, the FA Cup eight times, the League Cup four times, the FA Community Shield seven times, the UEFA Cup two times and once the UEFA Cup Winners' Cup. This model can be personalized with the your favorite player´s name or your own name and fave number using the authentic font of the club.